Nowadays more and more emphasis is placed upon the impact of research. 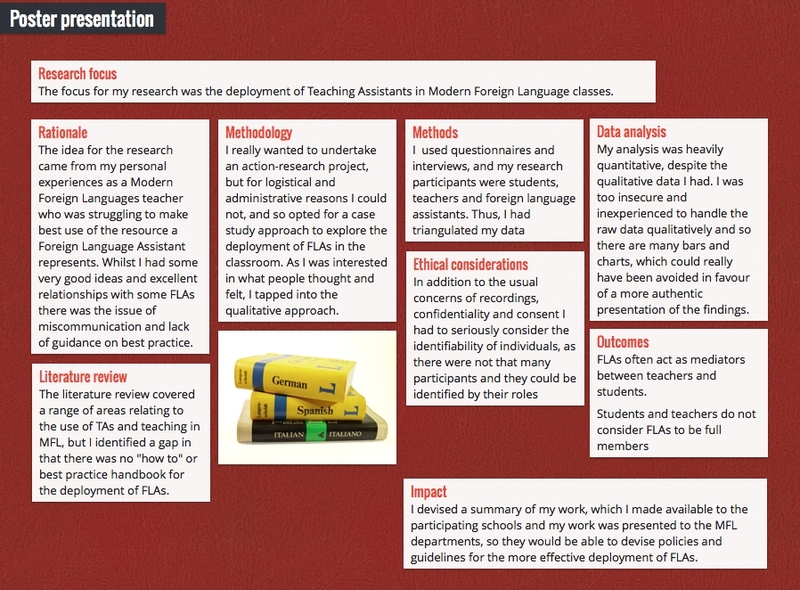 In many cases research students are even required to create a research poster as part of their thesis and enquiry submissions. However, how do you create a research poster? When you create a research poster you need to ask yourself which information you would like to communicate and how you can present that so that your audience will immediately know what to expect of your full report, dissertation or publication. However, you do not need to wait for a finished product to create a research poster. A research poster can work like a mind-map for you when you are in the planning stage of your enquiry, as it gives you the bigger picture of all aspects of your research at a glance. The structure and outline of a research poster is entirely free and I have seen posters with many graphs and graphics, or others that were very text-centred. Ultimately, you need to ask yourself what it is that you want to communicate, but your audience will want to know what you did and why and how you approached your research. Personally, I like posters that are honest, highlight their own limitations and therefore demonstrate critical engagement with their own work. You can use any software you feel comfortable with to create a research poster. Word documents or PowerPoint presentations seem to work well for many. However, you may want to export your final product as a PDF file for added user friendliness. 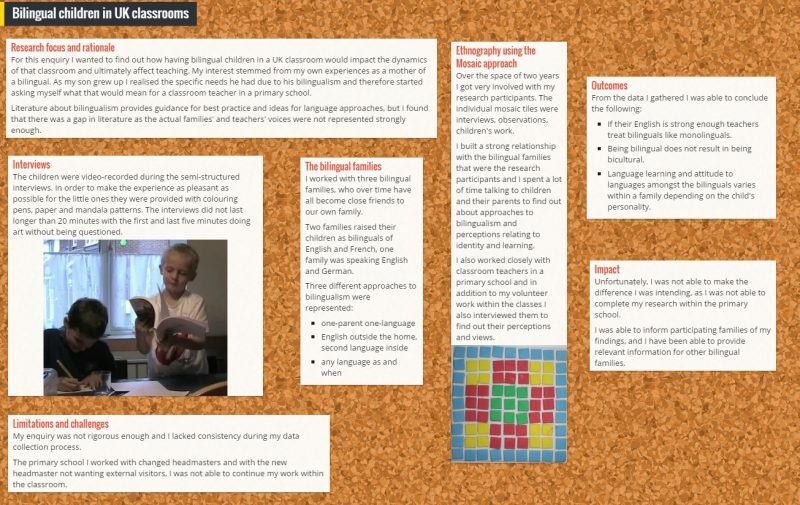 I have discovered Padlet, which is a virtual corkboard, on which you can pin your text, graphics and video-clips. It is very easy to use and if you are presenting in a team, you can have your collaborators add their contents, too.